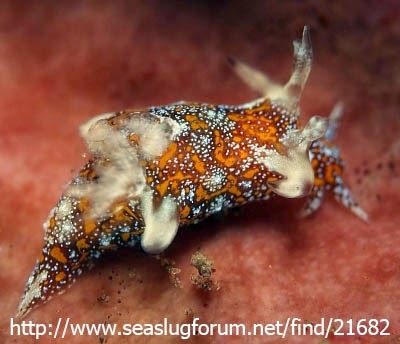 Trapania miltabrancha is a Nudibranch with no common name. I am writing this post on the train as I am very tired. Luckily the pictures of this one speak for themselves. 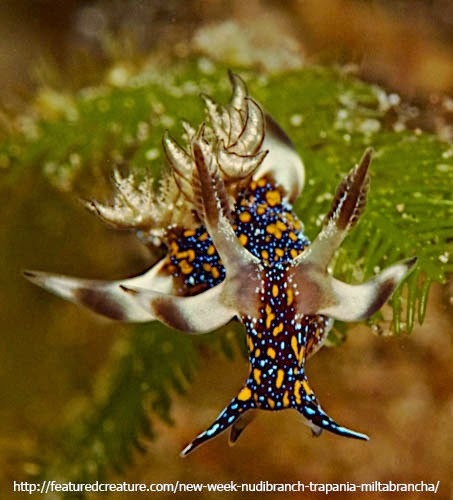 Its really just another bizarre looking nudibranch. Trapania miltabrancha is found off the coat of Bali, Indonesia.